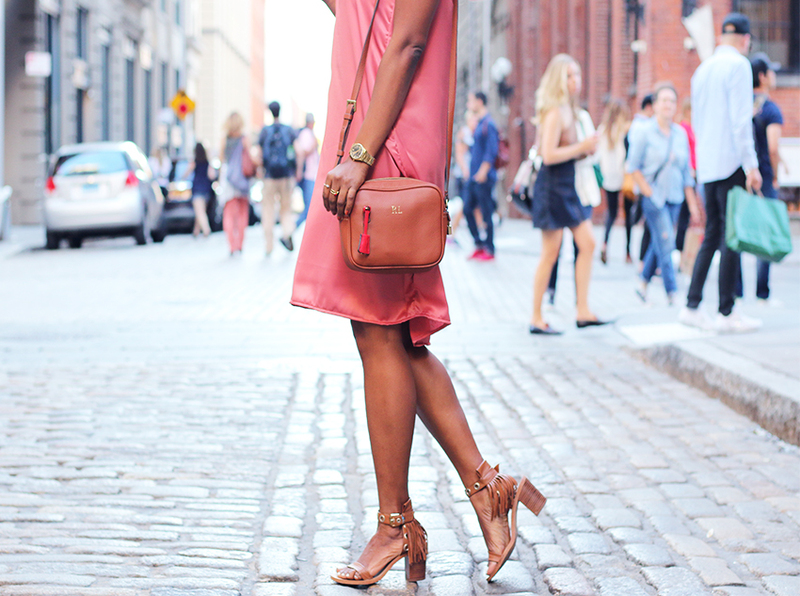 Silk slip dresses aren't only meant for the bedroom. They can be worn as outerwear too. Plain white tees go perfectly with a cami slip dress, so 90's and so classic. It's the easiest way to take it from lingerie-ish to casual daywear. I also like how it can instantly elevate a simple t-shirt and look like you put some effort in your look. I paired my blush satin slip dress(from my collection,coming soon) with a crop top since I don't really really own tees and the two that I have are on the loose side.